There is a lot of buzz surrounding Devin White and Devin Bush being targets for the Pittsburgh Steelers in the upcoming 2019 NFL Draft. 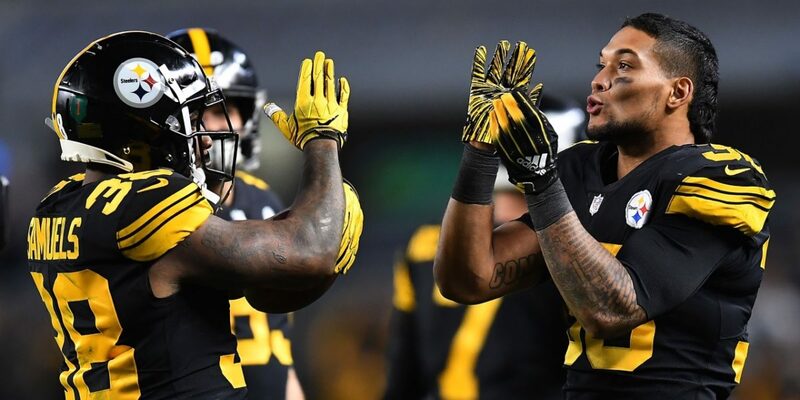 Enough buzz that it's highly unlikely that the Steelers are the only team that would love to grab either of the "Devins" and place them on their roster. That makes David Long Jr., the former Ohio 3-star prep recruit and West Virginia Mountaineers playmaker, a guy that the Steelers wouldn't necessarily have to reach for that they could develop into their next starting inside linebacker. Long was a redshirt his freshman season and did not see significant playing time until the 2016 season with West Virginia. In 12 games (ten starts), Long logged 63 tackles (35 solo) with 2.0 sacks. After suffering a meniscus injury, Long was limited to nine games the following season. 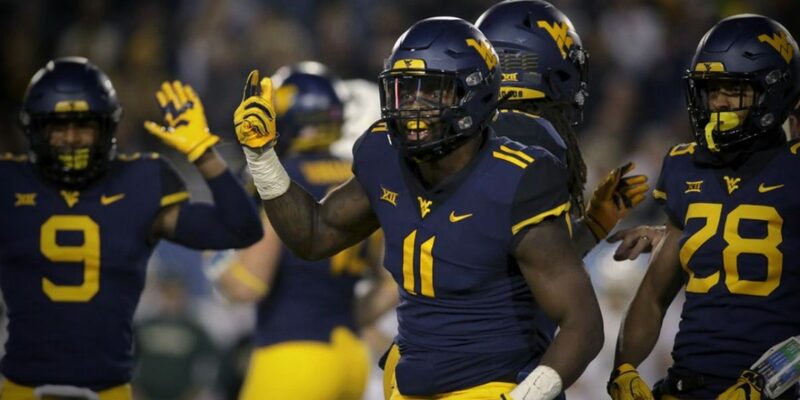 As a redshirt junior, under Dana Holgorsen, Long stepped up as a leader for the Mountaineers and was voted the 2018 Big 12 Defensive Player of the Year. Long was also named honorable mention All-Big 12 for his play as the WILL during the final nine weeks leading the Mountaineers in tackles (19.5 for a loss). At 5-feet-11, 227 pounds, Long is a bit undersized but has experience on the inside and outside in the linebacking corps. What he lacks in overall size and girth, Long makes up with speed, physicality and a work ethic that any coaching staff would love to have on their squad. Long has a nose for locating the ball and would swarm to it. While his experience dropping back into coverage produced no interceptions, he is capable of maintaining his assignments. Where he excelled was in handling his gap assignments with intensity, containing ball-carriers. Long's approach to downhill play is fearless and is something coaches at the NFL level will try to teach him to learn to control; encourage aggressiveness with less reckless abandon. He has great awareness when it comes to diagnosing the direction of plays and shows decisiveness in making quick, disruptive plays. Long doesn't just play downhill, however. He has the burst to close on the outside and doesn't lose speed when changing directions. #DidYouKnow that David Long Jr. set the West Virginia Mountaineers football record for single-game tackles for a loss? https://t.co/S1NWtzLEQr. Another impressive skill is Long's ability to keep from getting washed down by offensive linemen due to decent base strength and bend to mix with upper body strength. Long has shown he can, and will, hunt down opposing quarterbacks once he gets past blocking with success. His size could use work at the next level. There's not a lot he can do about height, but a good strength and conditioning coach could give Long the lean muscle mass that would help give him more of an edge. Due to his aggressive style, a full head of steam has shown that Long will, at times, overshoot his intended target and take himself out of a big play. This is where coaching will help him play with discipline. In the NFL, Long will be tested by RPO-heavy offenses due to his height and will do well to take advantage of controlled burst and improved visualization at the next level. His tackling technique needs to be cleaned up as well. If he's able to learn better hand skills and willing to improve open-field patience, he should be able to make better decisions about angles and not miss as many tackles (or be forced to grab for ankles due to being a bit out of position). Long could have been moved to safety to earn a spot in the NFL, but when the Steelers and Rams visited West Virginia for their Pro Day, Long seemed to feel that they agreed with his assessment about speed over size being the evolution for linebackers. "I feel like I've seen it evolve," Long told Alex Hickey of WV Metro News about the game of football. "There's a lot of smaller backers that are in there making plays because the game's changing. Size is not an issue. I can play football." Although he hadn't done timing drills during the pre-draft period due to an ankle sprain sustained at the Senior Bowl, he reportedly taped it to give scouts a sample of his skills. 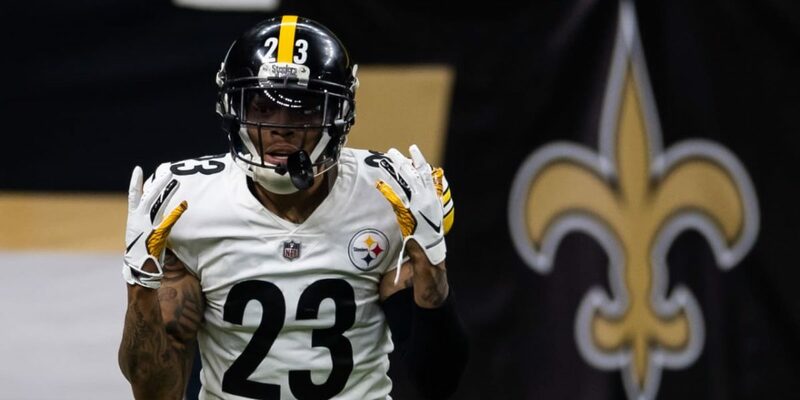 On Tuesday (April 2, 2019), the Steelers hosted Long on a pre-draft visit. The Steelers have been looking to upgrade their defense to one that can be up-tempo and aggressive for a full 60 minutes. If both White and Bush are off the board, Kevin Colbert and company may very well see Long as a real option to bring into the fold. Long has exceptional potential, even if it requires that the Steelers take some time to work him into a bigger role in the starting defense. Coachable is one thing that Long has been praised for, and it's something that may just get him the opportunity to make an impact as a professional player in 2019.